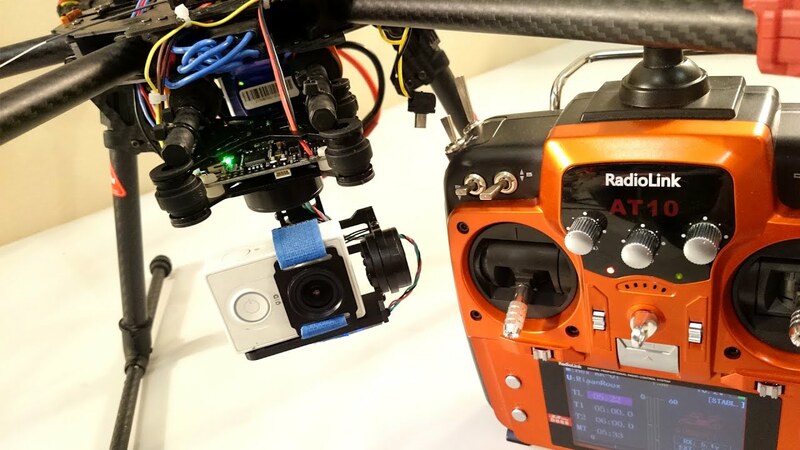 For stabilizing drone shots, there’s nothing better than a powered gimbal. Gimbals use motors to counteract movement, producing incredibly smooth footage. Gimbals are a built-in feature on higher end drones, like the GoPro Karma or DJI Mavic. These devices don’t exactly come cheap so expect to spend at least a few hundred dollars to get something worth your while. But much of this cost comes from being proprietary devices, fortunately there are open source gimbal solutions that will give us a comparable quality at a much lower cost. 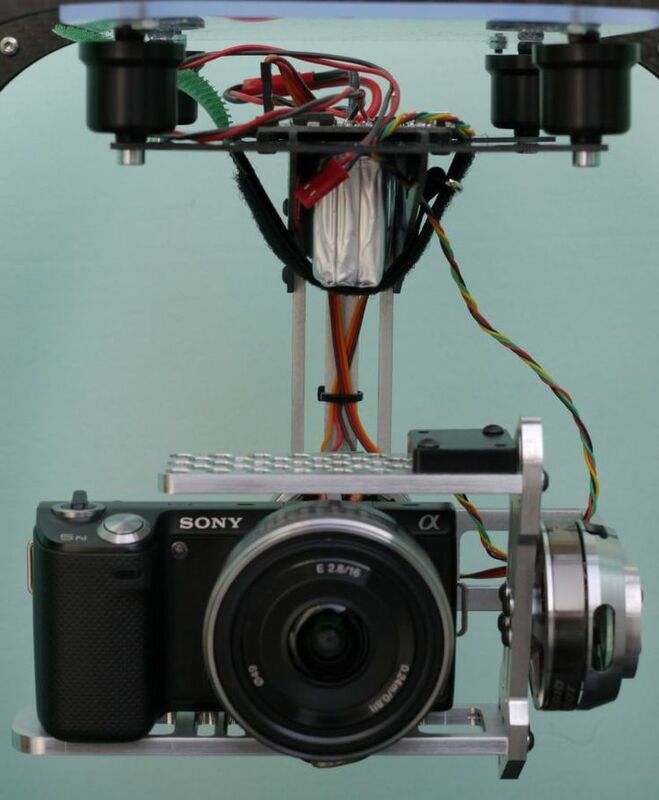 But first let’s see how a gimbal works: A combination of gyroscope-accelerometer detecting the angular velocity and acceleration of the camera in three-dimensional space, calculating the camera position, providing an amazing level of stability assistance for the most complex motion tasks. The gyros within compensate for any and all unstable movements when they are calibrated correctly. You can greatly increase the speed at which you are able to fly or enhance the illusion of dreamlike floats through space. But a gimbal is nothing more than inexpensive sensors, cheap microcontroller, two or three brushless motors, and some software. Something that can really be done as a hobby project. And that’s exactly how OlliW Bastelseiten wrote the STorM32-BGC project. 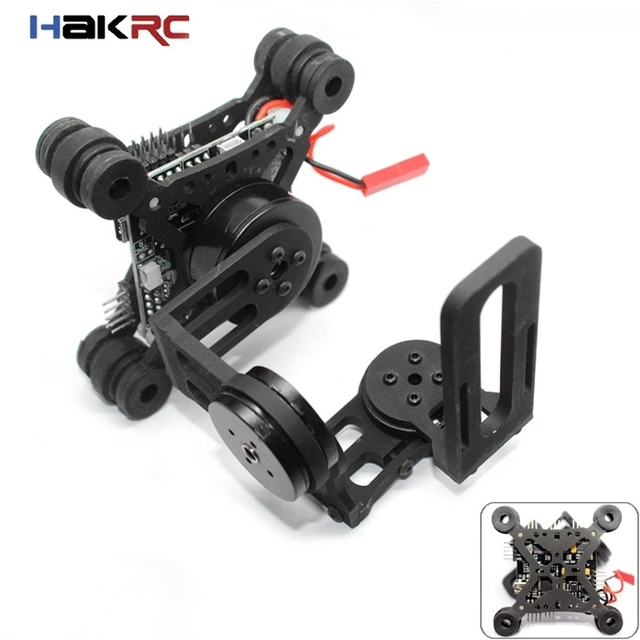 It is a controller for brushless gimbals with 3 axes, and is based on the standard STM32 32-bit microcontroller. The open source project actually consists of three parts, the STorM32-BGC controller board, the firmware o323BGC for this board, and the Windows GUI o323BGCTool. As usual all the source code is available on Github. One of the great advantages of open hardware is that any manufacturer can assembly and sell its own version, which will be fully compatible with the original board. This generate a competitive market that makes the price as budget as possible. It is thus possible to find compatible STorM32 boards like the full featured HAKRC STorM32 at prices as low as $68. The best part of a Ready To Fly gimbal it’s that is already configured and we will only have to add a GoPro Hero camera, the gold standard of drone cameras or any of its size/weight clones like the great Xiaomi Yi action camera. After install it on our drone, either a powerful Cheerson CX-20 also running open source code, or a cheap modified Bayangtoys X16 you will get a high quality stabilized video equivalent to professional products. As often happens with open projects there is an endless list of features to suit each user. Among others: Mavlink support to work in conjunction with autopilot flight controller, battery voltage measurement used for a lipo saver function, IR led remote control of camera, USB/UART/Bluetooth remote control ports, pan/follow mode and more. But the fun does not end there, being an open product is really easy to modify or adapt it. Do you want to fly a Four Thirds or DSLR format camera? No problem, install more powerful engines/frame, configure the appropriate PID values and take off. Like any open product, there is a wide community of users that provide excellent support.